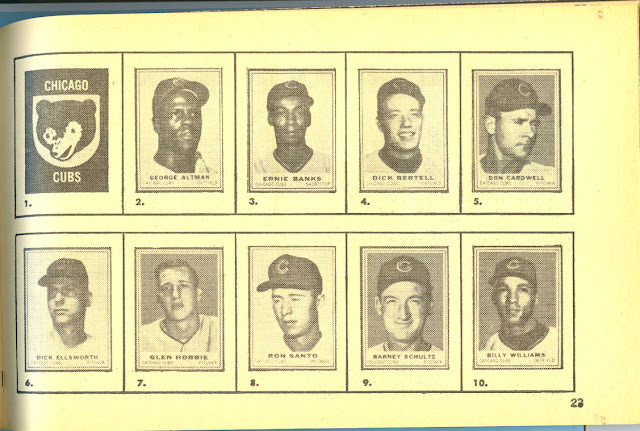 1962 saw a much improved Topps Baseball Stamp insert. Better colors and a better looking album snazzed up an insert set that was far more hip than the regular issue cards in year no. 2 of major league expansion. 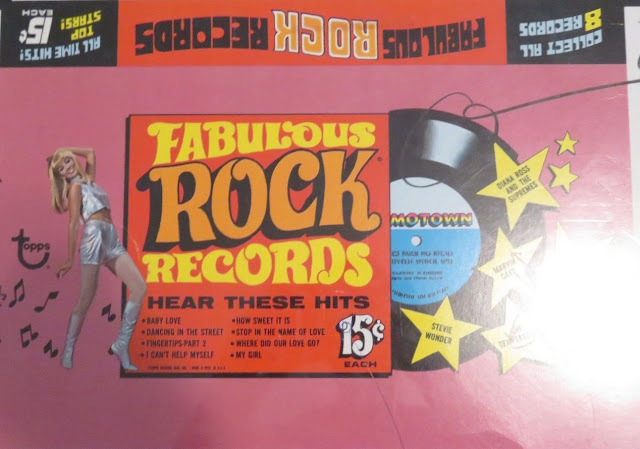 I can't find a scan of a retail box of the albums unfortunately. If one turns up I'll amend this post. As with the 61's, I need to do a deep dive into the printing of the stamps. 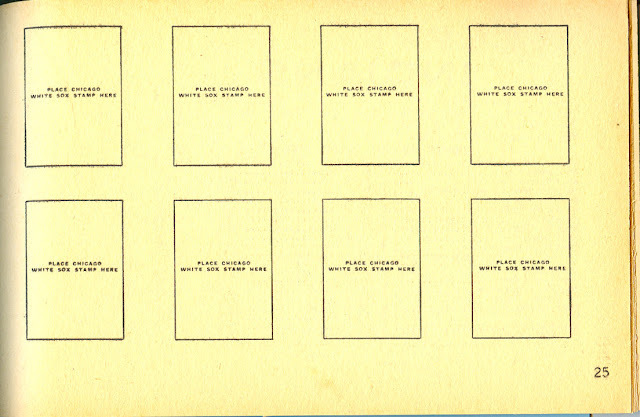 There are multitudes of extra and short printed panels in '62 but that's for another time. 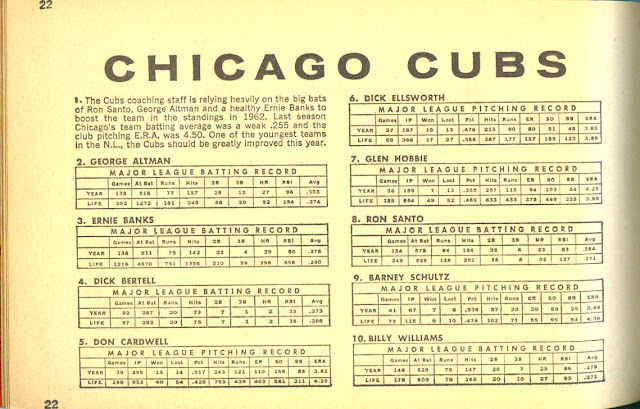 There were more teams but less subjects in 1962: 200 vs 208 the year prior. 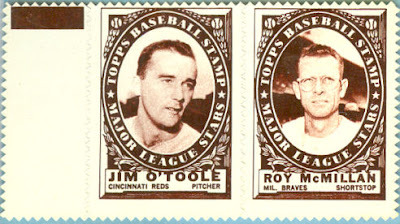 No matter, the '62 stamps were a great little insert in a decade filled with such things. 1961 Topps Baseball Stamps are ubiquitous in the hobby. Inserted in little two card panels in five wax and cello Baseball packs the 208 stamps were the first baseball inserts produced by Topps. 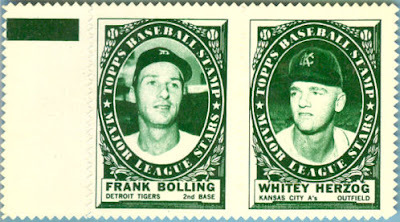 I'll post a whole treatise on the stamps someday but today want to look at a bit of a tougher item, namely the album Topps sold separately to house the stamps. But back to the albums. 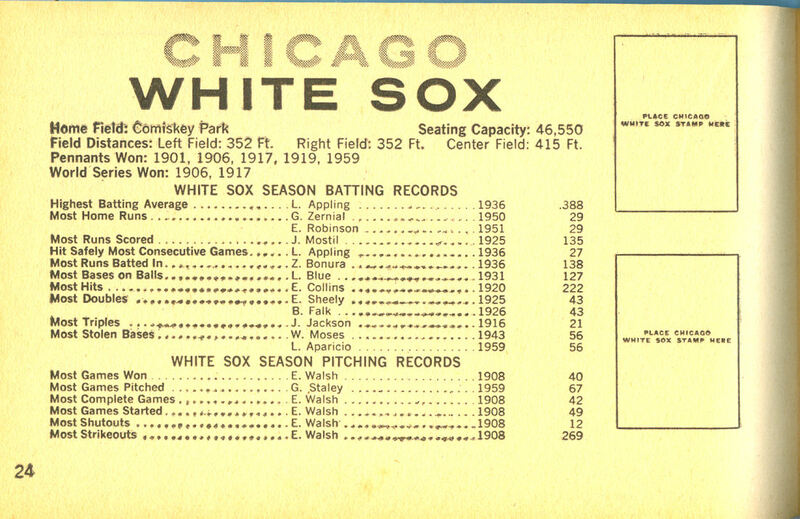 They are rather cheap affairs, but a little hard to find in nice shape, often due to handwriting, tears, sloppily affixed stamps and general abuse. Unused ones are tougher still although they can be found with a little diligence. What is definitely a tough item though is the retail box the albums came in. 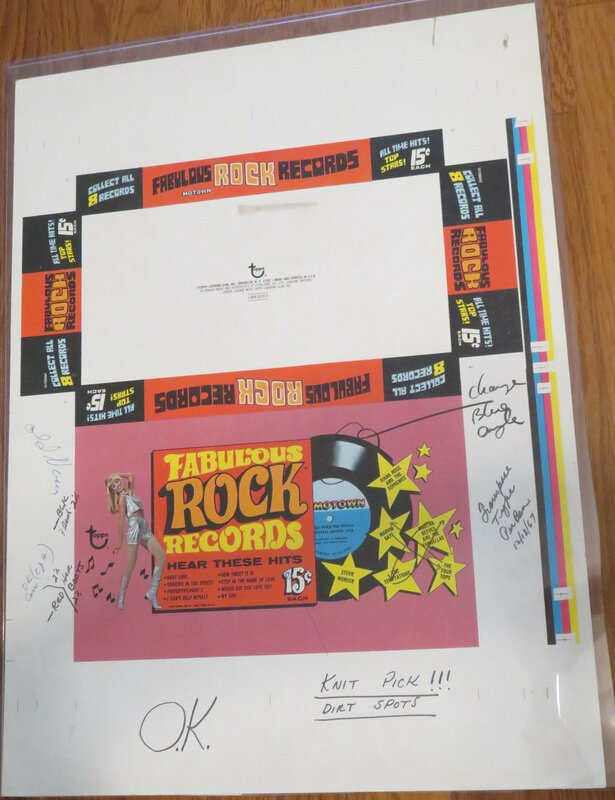 Thanks to a recent Mile High auction, that particular items has made a recent appearance. 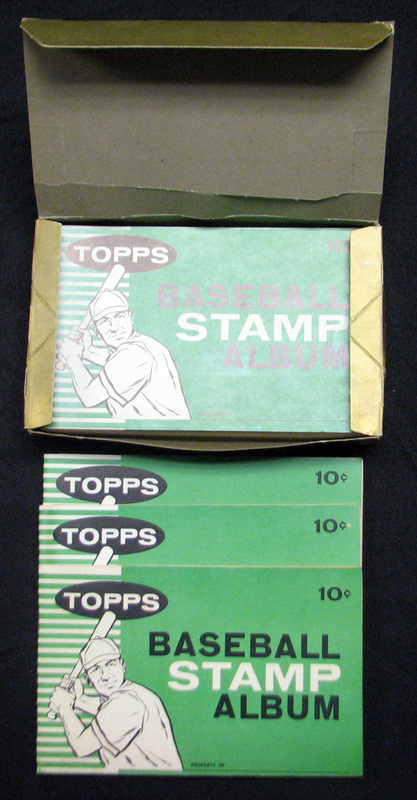 The idea of selling a secondary item to house an insert is intriguing and Topps did it again in 1962 but I'm not sure how many candy stores and retailers would have bothered with the albums. 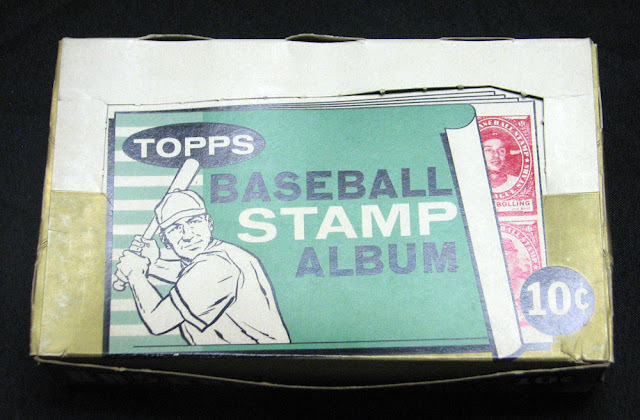 I guess Topps ate the postage! Good to see Lu Blue get some respect! The early days of Bazooka and its comics were a mish-mash of suppliers, artists and licensed strips. However, I recently ran across an interesting premium issued by the Brock Company of Chattanooga that ties in a bit with the early Bazooka comics. 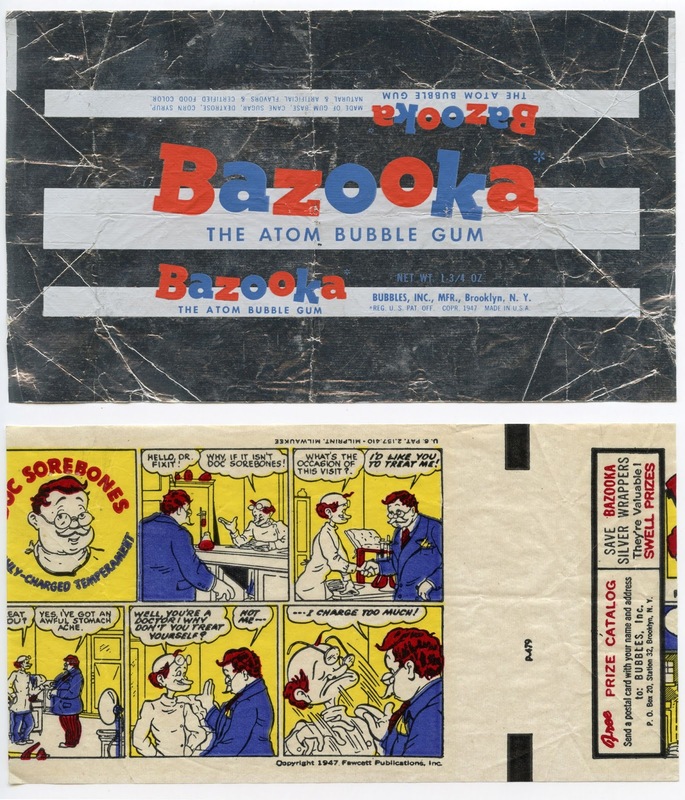 Intrepid readers of this blog know that Bazooka originated as a candy created by Brock and that sometime between 1937 and 1947 Topps acquired the trademark, most likely after the end of the war, and applied it to their new bubble gum. 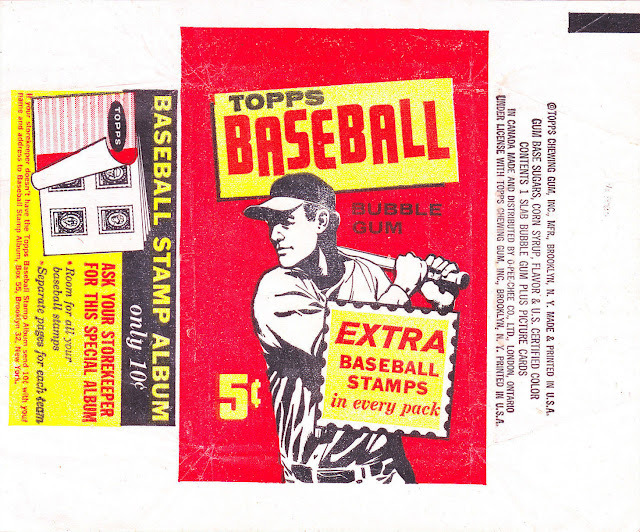 The 1947 copyright for Fawcett Publications puts it within the first year of Bazooka, which was a five cent product as Topps Gum filled the one cent niche at the time (Topps originally marketed separate products for each price point after the war, although this practice ended by 1949). I suspect Bubbles was only inserted in the initial wave of Bazooka issued in New York City that commenced April 23rd but I'm not 100% sure of that. The Fawcett strips possibly came a couple months later when they started national distribution on July 21st; the above is what I believe is the third version of the Bazooka wrapper, which would feature small changes almost annually if not more frequently, but it may date from early 1948 while holding the 1947 Doc Sorebones. 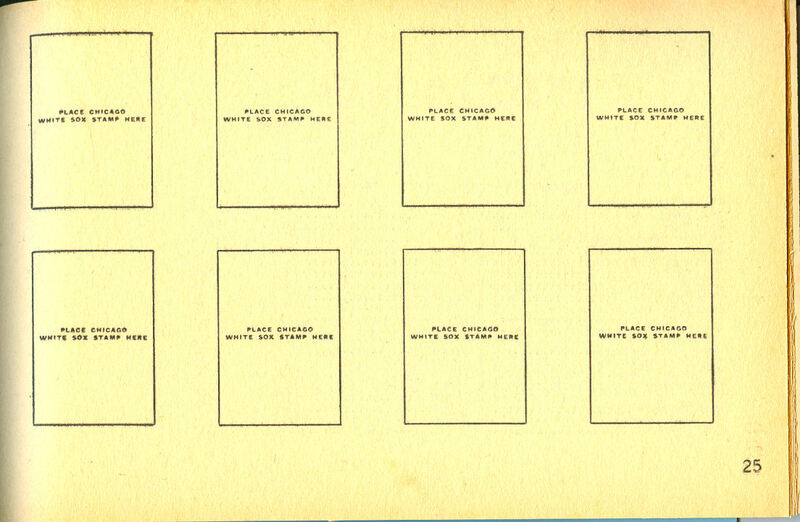 Those comics were separate inserts and not printed on the backs of the wrappers by the way. 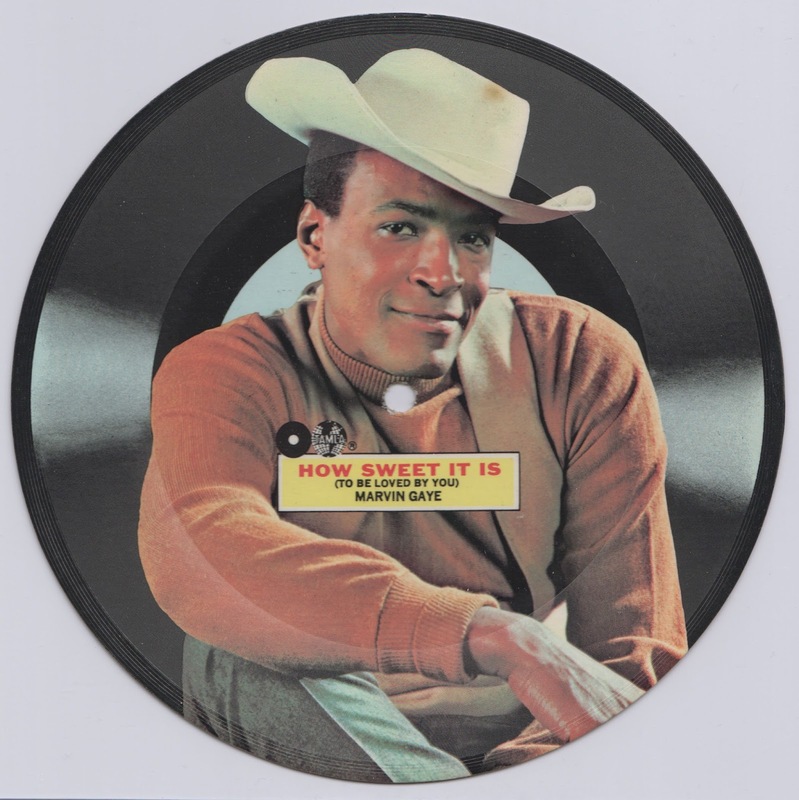 A year later though, at least one Fawcett character was featured on a premium issued by.....Brock Candy! Some of the other booklets in the series have copyrights from 1949 and 1950 so the offer either occurred over a few years or began a couple years after 1948. 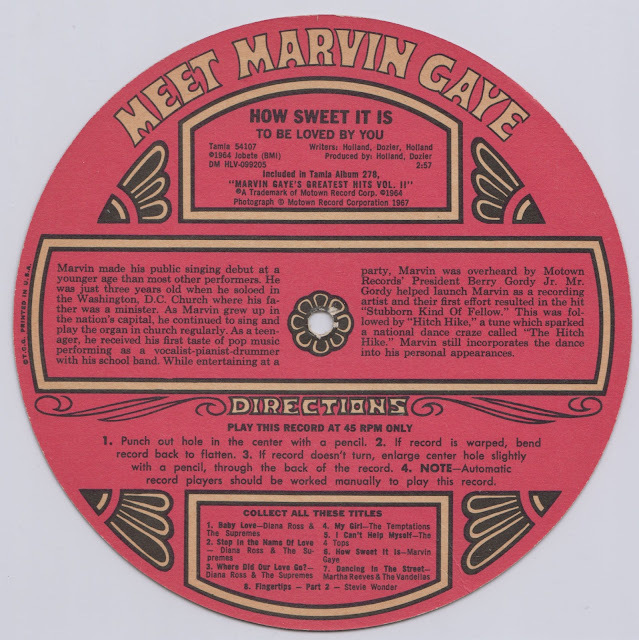 In addition multiple firms utilized these mini comics to advertise but some others I've seen do not have the ordering details like Brock did or were entirely blank backed. 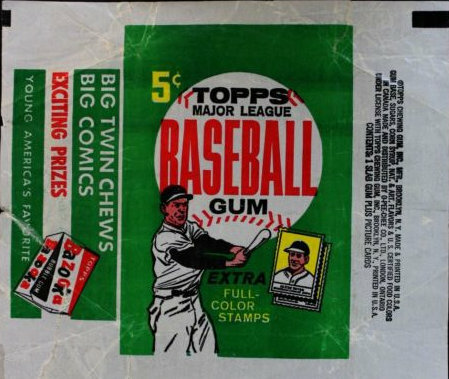 It's meaningless in the grand scheme of things but I like how a company connected to the history of Topps issued something also connected to Topps, albeit by the slimmest of threads. 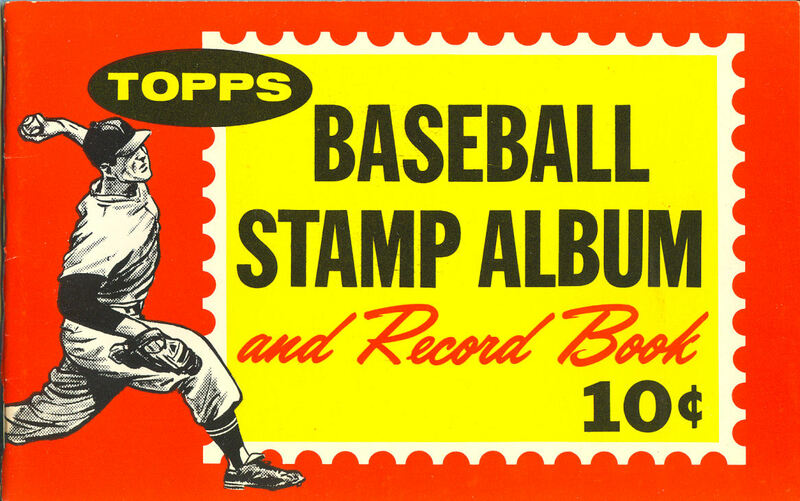 In their attempts to branch out from the five-and-dime and variety store shelves, Topps started creating some very innovative sets as the Sixties wore on. 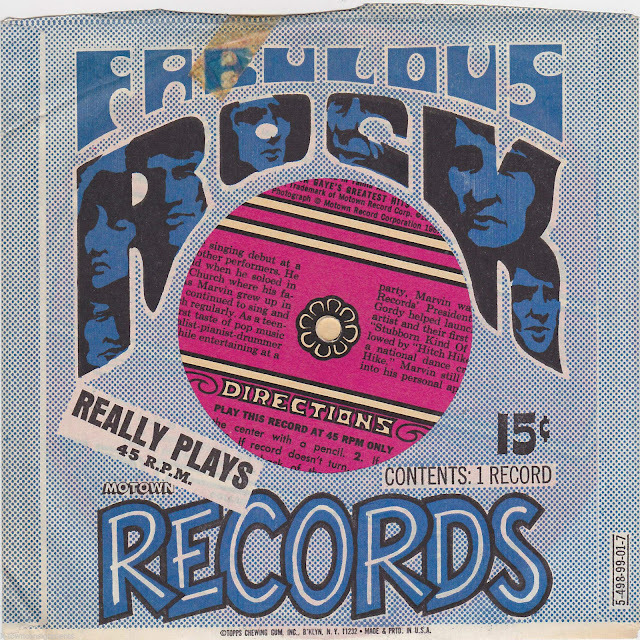 Certainly one of the oddest of these was a set of 16 flexi discs called Fabulous Rock Records. The title of the set is very accurate in one sense but no so much in another. Fabulous? You bet! It's one of the nicest sets ever issued by Topps but it's not even close to having any rock n' roll hits-it's 100% Motown artists! For artists with multiple records a different picture was used on each. 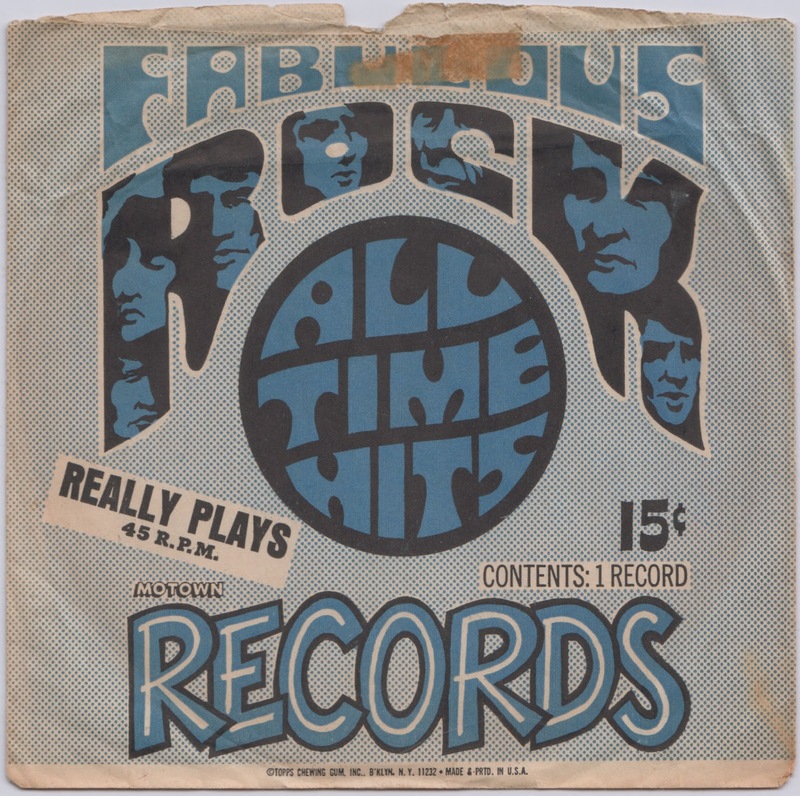 Clearly the label was promoting Diana Ross & The Supremes-wow! 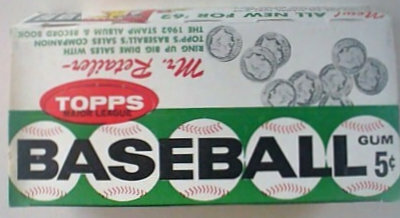 And clearly, Topps took advantage of a push toward the mainstream to get advantageous terms for licensing purposes. A classic win/win! The commodity numbers are the same but clearly the packaging is different. 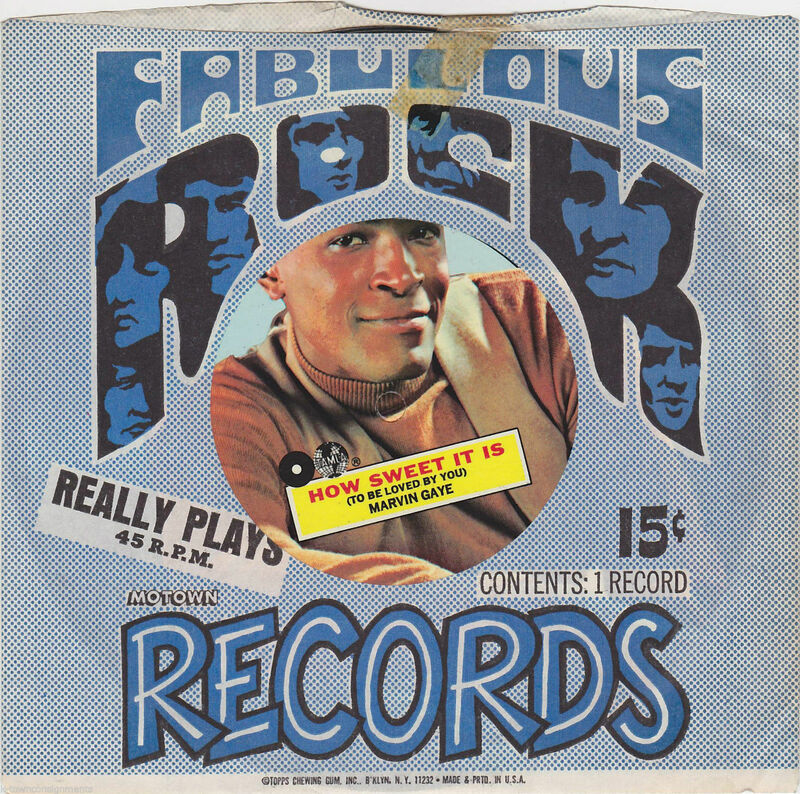 I assume either the non-cut out version was a test issue (they seem a lot harder to find), or the configuration was changed to (presumably) make it either more or less obvious which record was within. The sleeves look like they were taped shut so I have to guess more visibility and a reduction in mangled sleeves left in the retail box was the goal. 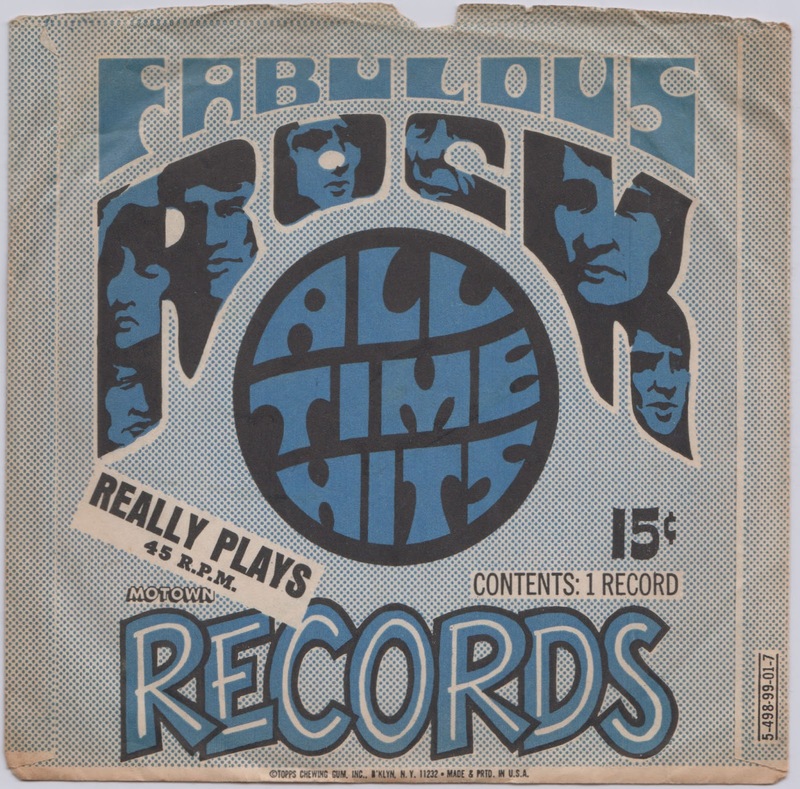 I'm thinking the go-go girl was Nancy Sinatra inspired. 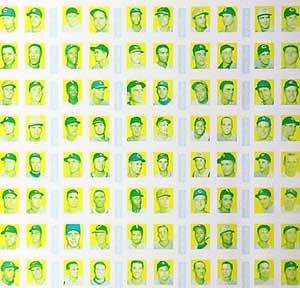 She was seemingly finished by Norm Saunders but this set is not on his website's list of work he did for Topps, so maybe not. 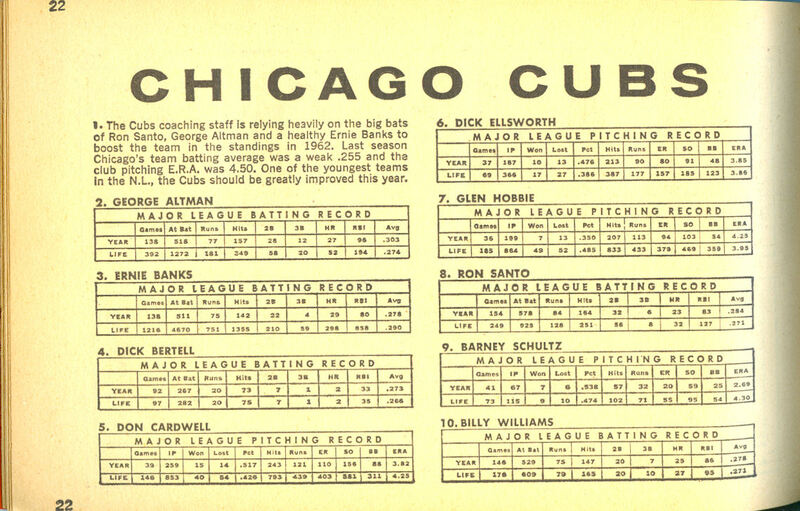 There you have it, one of the great Topps sets ever! Today we take a look at an extremely obscure issue from 1979, which is pretty late in the vintage era but if there's one thing we know after almost nine (!) 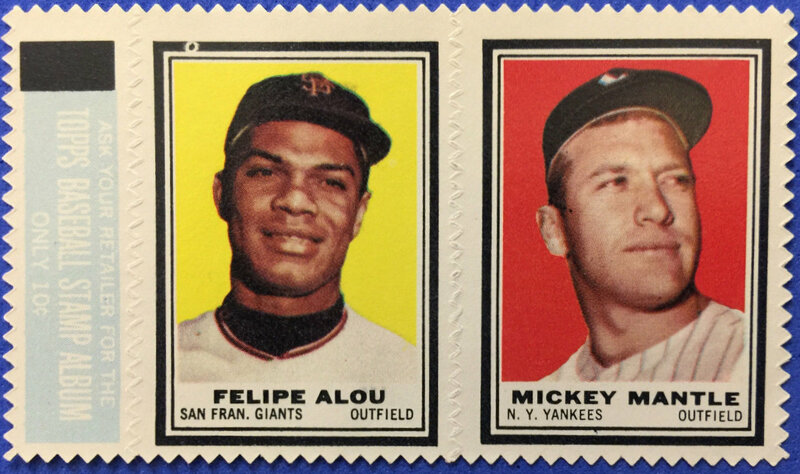 years of exploration and deep dives, it's that Topps excelled at obscure. Yes, I was not after the gum (which was still pink and smelled like, well, Bazooka after all these years) but rather the prize inside. After gently prying apart an end, I slid the sticker out, only to find perhaps the worst "electric-eye" cut of all time! These measure 1 1/8" x 3 3/8" and I have to say they are tough to find. There are 48 to the set, with 2 smaller subjects and 1 larger one per sticker (if cut correctly). I would have to check more examples but suspect Topps recycled artwork, especially for the small subjects, from other "goofy" stickers sets from their past, such as 1970's Stacks Of Stickers, which had 704 of the little suckers in all. 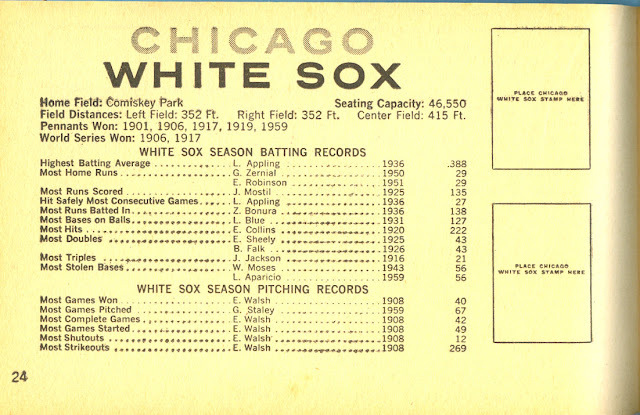 I would be impressed if anyone has a full set of these, for sure.